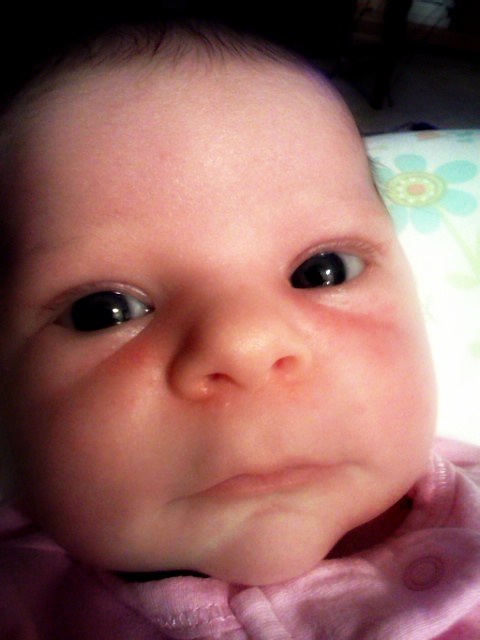 This is one of my favorite pictures of my sweet Chloe, in it she's not even a month old yet. It feels like forever ago since she was that small and new. I never realized how quickly time goes by once you have a child, but it does. It goes by quicker then I ever imagined it would, quicker then I could ever even explain to someone. As we approach Chloe's 1st birthday I cant help but think about this exact time last year, how both Mike and I were filled to the brim with excitement and nervousness as we waited patiently for the day Chloe would make her grand entrance into this beautiful world. I think about how completely unaware we both were of the journey that laid out before us, how becoming a parent would change us, change our relationship, change our life in the most beautiful way. In no way am I saying that this has been an easy year for both Mike and I, that becoming parents has come completely natural to us. The truth is this year has been the hardest year of my life, and the hardest year on my marriage. But at the same time this year has been the most beautiful, life changing, wonderful year of my life and I cant stop thanking God for bringing this beautiful, special little girl into our lives! I love where we are at right now, nothing in this world that's worth having comes easy. Aw thank you Tracy for your kind words!